Serve you way to success! 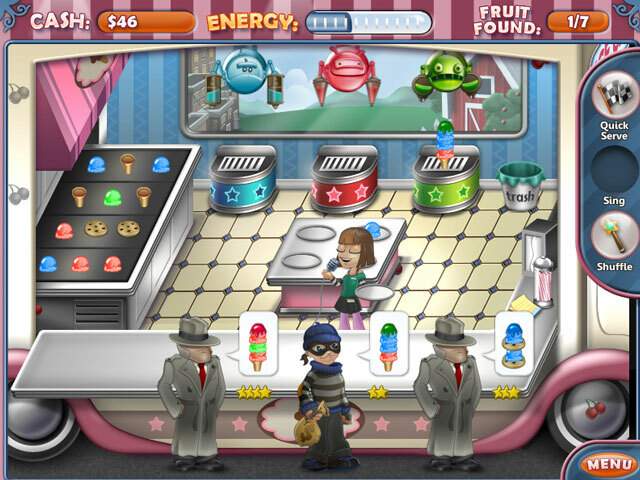 As Anna's ice cream empire prospers, a dangerous force threatens the rest of the world. Dr. Bane, a renowned super genius, has developed a line of ice cream made entirely of artificial chemicals. Determined to stop him, Anna decides to create her own all-natural brand. Guide Anna through unique challenges, find deals on delicious ingredients, uncover hidden bonuses, and make the right decisions to boost your business. Seek out mentors to help you unlock six special abilities that are crucial to your success. 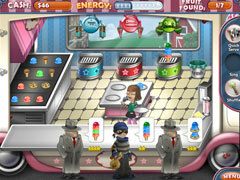 Then take on the notorious Dr. Bane himself and bring the world back to its senses in Ice Cream Craze: Natural Hero.